If you or a loved one, including pet family members, are in need of prayer, please send your prayer requests to Mother Pamela at rosewaterlilies@yahoo.com. O, Most Holy Dea, Mother God, have mercy upon these, Your souls and may they attain mental, physical and spiritual health. May those who have passed beyond the Veil be assumed, through Your Holy Daughter, unto Perfect Union with You. Through the Pure Stream of Your Grace, may all events unfold for their highest good and according to their True Soul Path. Silver Star of the Waters, Who has fashioned all the cosmos into being, being all knowing is the splendor of Your Light. Enfold my spirit, within Your Mighty Mantle, and may the Pure Stream of Your Grace, flow within me, in this world and in all the worlds to come. Christos Anesti, Christ is Risen. Orthodox Christian Easter is next Sunday, April 28. Hail Lady Magdalene and Rabbi Yeshua. They never lost their faith in God, nor creation. Along with the Holy Janati and Revered Saints. And may we follow them to the heart of Déa. The Radiance of the Divine Feminine within Christianity, the Birth of the Sophian Religion. Since the 1960’s, many have searched outside of Christianity to find the Divine Feminine. But what was hidden and has now come to light is that Christianity has a radiant Divine Feminine side, as well. When we we consider the wide-ranging diversity of beliefs and practice in the early Church, we find that some non-Orthodox Christian sects were actually quite wide-spread and very popular such as Arianism and Valentinian Gnosticism. In fact, the Gnostic bishop, Valentinus, almost became pope! If that had happened, it’s very possible that the Christianity we inherited would be Gnostic rather than Pauline. Imagine that! We might have had a Christianity that was complete with female priests (priestesses), the Divine Feminine, a female church leader/apostle (Mary Magdalene), a Female Holy Spirit, female angels (aeons) and those avatars of Sophia like Eve and Norea. 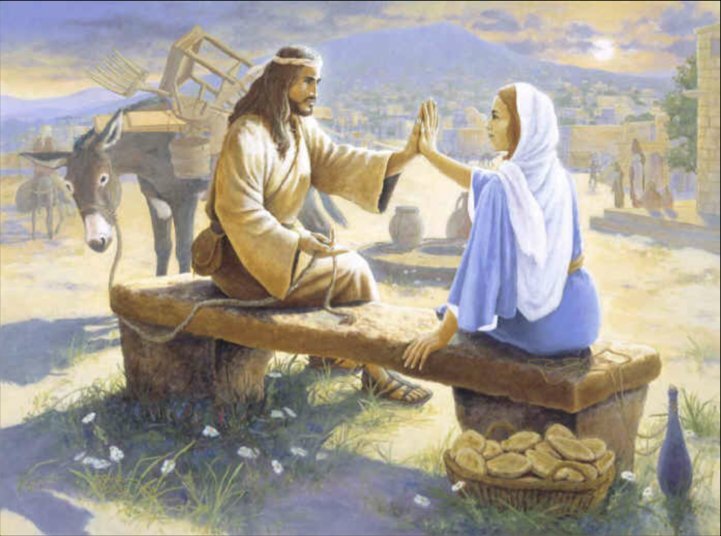 We have the Blessed Mary and Mary Magdalene. [For those interested in Mary Magdalene, the books of Margaret Starbird are highly recommended as is the Mary Magdalene Mystery School . Please see (1) and (2)]. In addition to the above, the Divine Feminine within Christianity also encompasses the biblical fore-mothers; the Seven Virgins/Spirits of Sophia/Holy Spirit; the female Aeons (Gnostic female angels); the female Archangels and female angels. Oftentimes, the Divine Masculine has been depicted as being Just, Judge, aloof, stern and punishing, which is unfortunate, because that is simply not the case. He is loving and merciful. But the Divine Feminine has always been associated with unconditional Love, forgiveness, mercy, compassion, understanding. She is always with us and is ever ready to assist us, Her children. She will do whatever she can to save Her child. These were the qualities given to the Ascended Form of Mary and they may be more readily applied to the Seven-Fold Holy Mother Spirit, Sophia, because, after all, She is God. She is part of the Godhead and She shares in the Essence of the God-Nature. We truly have a radiantly beautiful Divine Feminine side of Christianity in union with the Divine Masculine. We are very blessed. The books of Margaret Starbird, of DaVinci Code fame, are highly recommended. Especially, the Goddess in the Gospels and the Woman with the Alabaster Jar. We have since learned that the interior framework is intact and safe. Thank you, dear Blessed Mother.